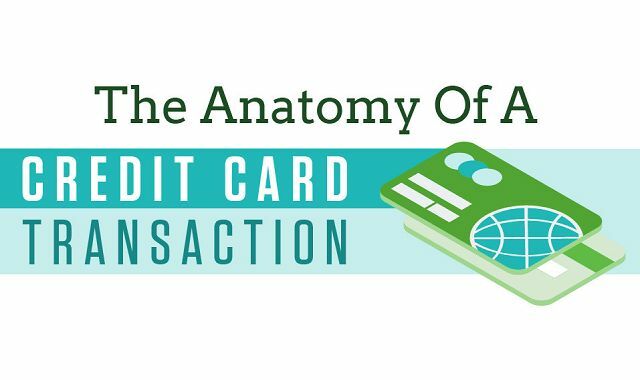 The Anatomy of a Credit Card Transaction #infographic ~ Visualistan '+g+"
When you go shopping at the store or online, what happens when you swipe your card or key in your credit card number? The money is just transferred from your account to the store's, right? Some may be surprised to learn that it's not that simple. Instead of just being directly transferred, the money makes a few crucial stops along the way, and each stop takes a tiny portion of the payment. From start to finish, the store is actually getting only 97-98% of the amount that is taken out of your account. This is because there are several other entities at play: the card-issuing bank, the credit company itself, the bank that is receiving the payments, and also the payment processor. Learn what actually happens during a credit card payment in this informative infographic, so that next time you go on a guiltless shopping spree you'll know exactly where your money is going.